Gone are the days when all a kitchen needed was a stove top and a sink. Of all the rooms in a house, the kitchen has probably seen the most technological evolution in terms of kitchen appliances. Even the humble stove top has gone from featuring a single burner to featuring multiple burners, induction bases and grillers on the same platform. Some stovetops can even be integrated onto the kitchen countertop with touch controls for a seamless look. Along with a stove top, today it is almost impossible to imagine a kitchen without a refrigerator, oven. All of this has made cooking no longer as a mere necessity but an art form that encourages experimentation. The many cooking shows on television are proof of this change. There is no argument that technology has made operating a kitchen much easier and less manually intensive than before. Spices that once upon a time had to be manually ground with a mortar and pestle can today be powdered in a matter of minutes. Along with cooking, food preservation has also become easier. For this the credit goes not only to the refrigerator and deep freeze but also to more humble inventions like cling film. Here’s a look at a few elements and appliances that complete a kitchen. 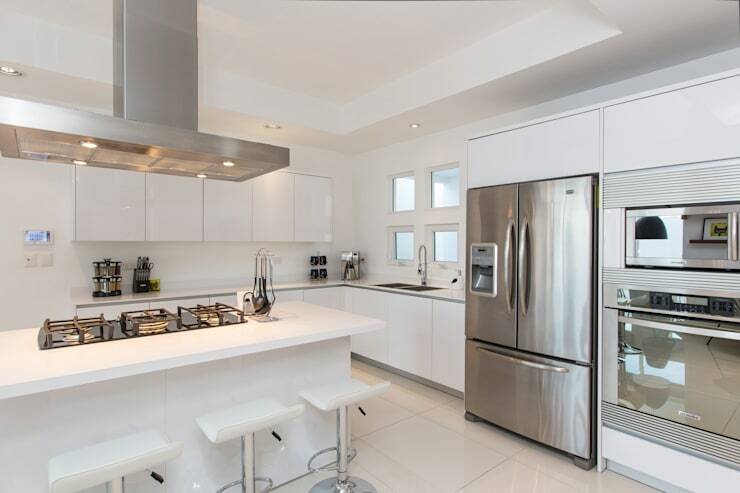 A refrigerator is such an essential element of a modern kitchen that it is one of the three vertices of a kitchen triangle that defines the ideal kitchen layout. When choosing a refrigerator for your kitchen, capacity is no longer the only factor to consider. Refrigerators today are available with unique features such as a cold water dispenser, internet connection, vertical freezers etc. Along with a separate freezer and cooling section, the ideal refrigerator should also include an ice cube maker that can be accessed without opening the main unit. This is an essential kitchen appliance if you regularly entertain guests at home. The benefit of having an ice cube maker is that it frees space in your freezer section and save you from opening and closing the main fridge door again and again. Having a wood fired oven may be a luxury best left to Italian pizza houses but every kitchen needs a gas or electric oven. Ovens are multi functional cooking appliances that let you not only bake but slow cook, braise and even grill your food. When cooking for a bunch of people, baking dishes in the oven makes your work easier. For example, imagine frying individual eggs for a dozen people vs baking a single large casserole. Depending on the size of your oven you can also use it to cook multiple dishes at varying temperatures simultaneously. 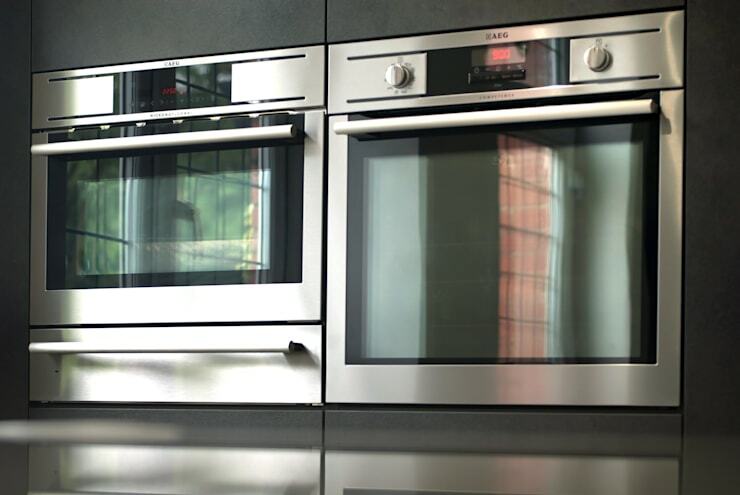 Ovens also allow you the luxury of getting a meal ready without standing in the kitchen to watch over it constantly. These appliances are from the store of Newcastle Upon Tyne, United Kingdom-based Kitchen Planners: In-Toto Kitchens Newcastle. Keeping cutlery in drawers vs. standing it in cutlery racks ensures that it is kept dust free and hence cleaner. The only disadvantage to storing your cutlery in a drawer is the chaos that follows within the drawer when spoons and forks get mixed up with each other. Thus, what every kitchen needs is a cutlery drawer with built in dividers. Kitchen drawer organizers can be bought at regular supermarkets or online or even made at home. 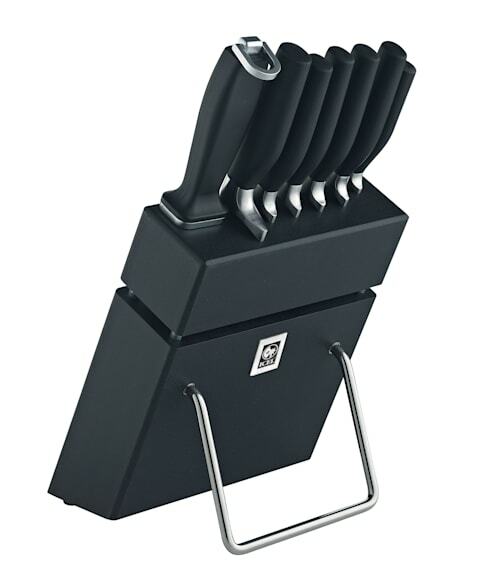 The ideal cutlery drawer has sections within it to house different types of cutlery grouped together by type or function. While some cutlery drawers have the dividers attached to the drawer itself, it is often a better idea to have removable dividers so that they can be removed to clean the drawer periodically. 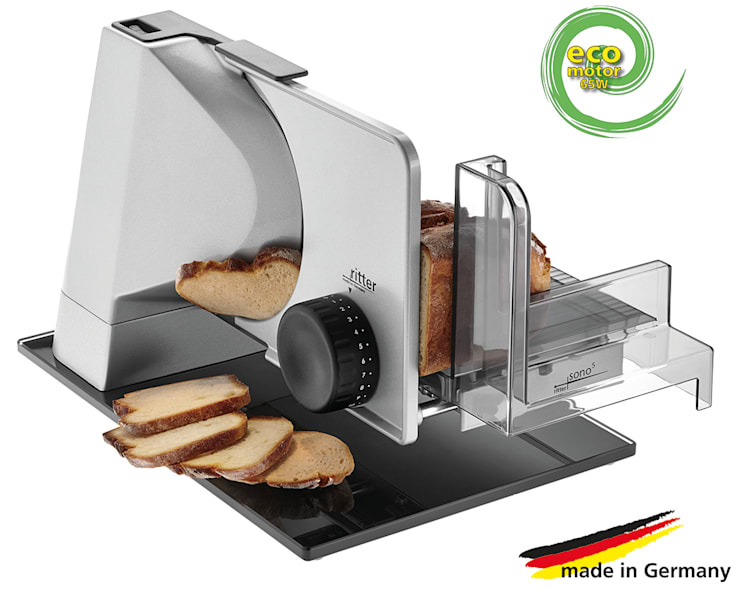 ICEL - INDÚSTRIA DE CUTELARIAS DA ESTREMADURA, S.A.
A foil cutter or foil dispenser is one of the simpler kitchen appliances that a modern kitchen would be incomplete without. Typically foil cutters are wall mounted units that take up minimal space. Foil cutters generally also include a cutting section for cling film and a kitchen towel holder. Like cutlery, organizing spices is another challenge in a well designed kitchen. Asian cuisine uses a mix of fresh and dry spices and herbs. These spices need to be easily accessible in a kitchen and stored without using too much space. Spice organizers are available in a variety of sizes and configurations. Spice organizers can also be built into kitchen cabinets to save space. 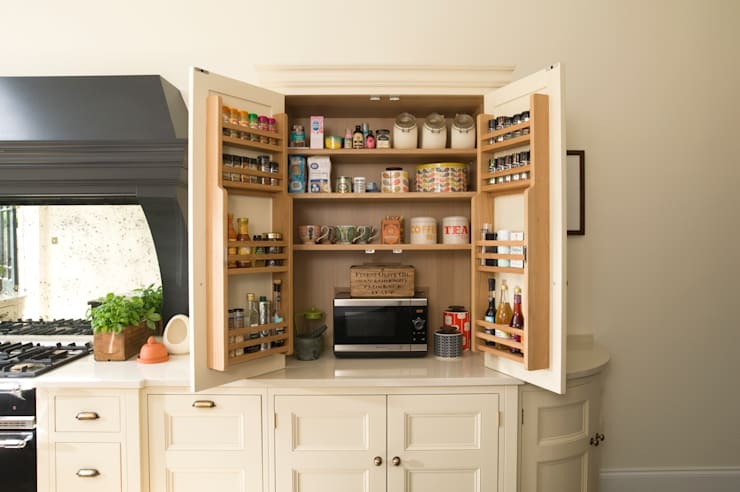 Slim pull out spice organizers can also be designed to fit into tight spaces such as the space between the refrigerator and the kitchen counter. In an effort to eat the freshest food possible, many people today choose to bake their own bread instead of buying loaves at the supermarket. A bread maker is a kitchen appliance that lets you create artisanal breads with ingredients and flavours of your choice. Along with being used to bake fresh loaves of bread, a bread machine can also be used to make dough for pizzas etc. Another kitchen appliance essential in modern kitchens is a dishwasher. 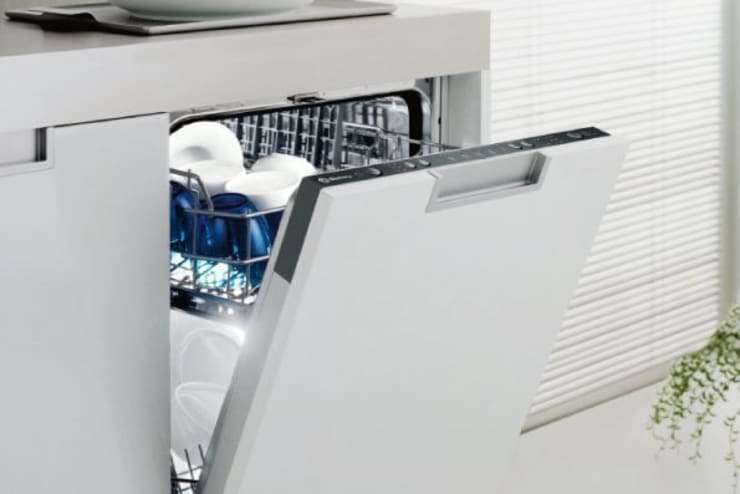 With a dishwasher you do not need to wash up after a party or scrub dishes yourself either. Dishwashers typically also include dryers that dry and perfume your dishes. Dishwashers can be used to wash all types of crockery and cutlery. All you need to do is rinse the pieces in running water and load the machine. Technology takes care of the rest. Cleaning appliances after each use is the most important part of kitchen appliance maintenance. Since each of these appliances works directly with food ingredients, this ensures that your food does not get contaminated easily. Avoid using metal brushes to clean kitchen appliances as this can scratch the surfaces. The best time to buy a new kitchen appliance is said to be September, October and January. This is when manufacturers launch new products and hence retailers are happy to discount prices on the older models. Since this does not hold true for online retailers, use data trackers to help you find the best deals for kitchen appliances. Also read How do I clean and maintain my kitchen equipment? for more knowledge.